As the hometown of silk embroidery, bamboo-making and the calligraphy brush, Huzhou City in Zhejiang Province shines with its rich culture and history. As the hometown of silk embroidery, bamboo-making and the calligraphy brush, Huzhou City in Zhejiang Province shines with its rich culture and history on the southern bank of the Taihu Lake. 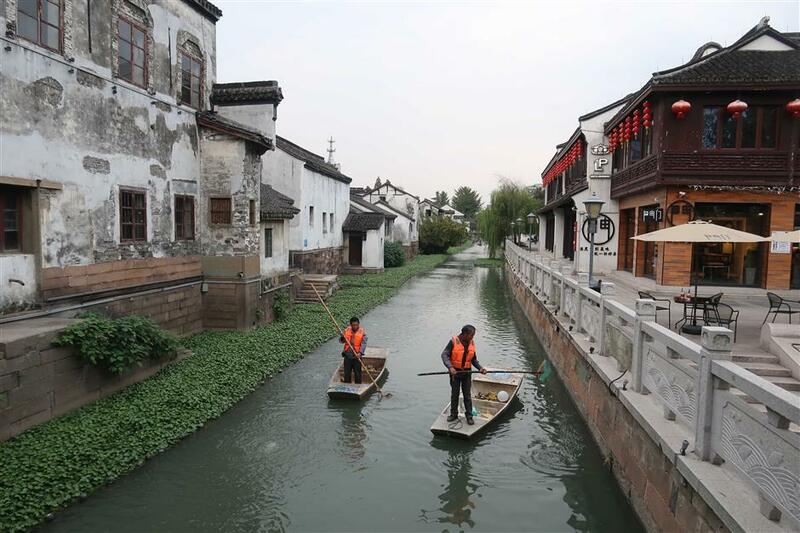 Xiaoxi Street is one of the two oldest areas in Huzhou, cherished by locals. The street, built along the river that runs through the area, is flanked by old buildings with roof tiles and white-washed walls as well as delicate courtyards under the lush green trees. After years of renovation, the street today has become home to locals and also artists and craftsmen. It’s studded with folk art workshops, galleries, museums, boutique hotels and nice restaurants, in harmony with the residential communities. 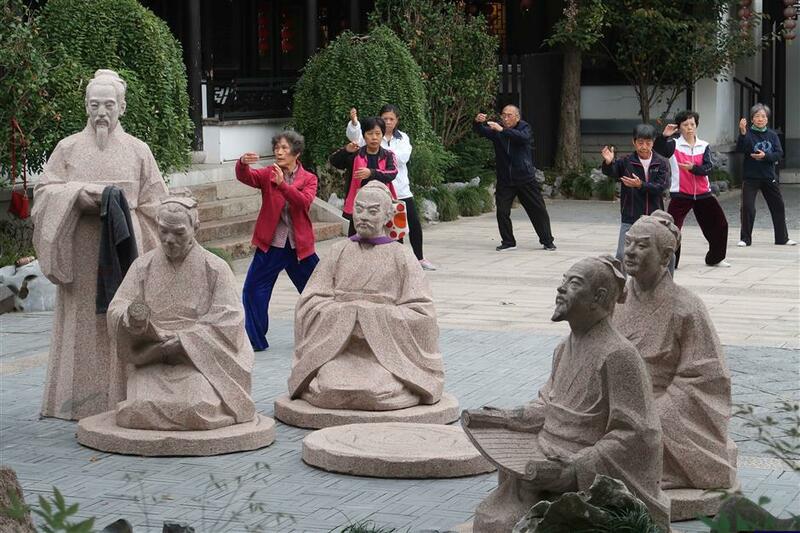 Huzhou is the cradle of Zhuangyuan, the top scoring applicants of the ancient Chinese imperial examinations for picking government officials. On the other side of the river is Zhuangyuan Street. In memory of its proud history, it has bronze life-size statues to revive the glorious moment when the top student returned home on the horse, cheered by village fellows. The street is also a fine food destination for gourmands, who are looking for authentic Huzhou cuisines and Western beer pubs and cafe shops. Yishang Street in the city’s downtown is another old road that can be dated to the East Jin Dynasty (AD 317-420), with a long and distinguished list of famous painters, poets and writers over the centuries who once lived on the street. In the middle of the Qing Dynasty (1644-1911), Yishang Street reached its heyday and became a busy commercial hub featuring various clothes stores, hotels, wine houses, banks, pawnshops and drugstores. Today, it boasts 12 cultural relics, 35 historic buildings, 18 harbors and 13 ancient lanes and large areas of late-Qing architecture. 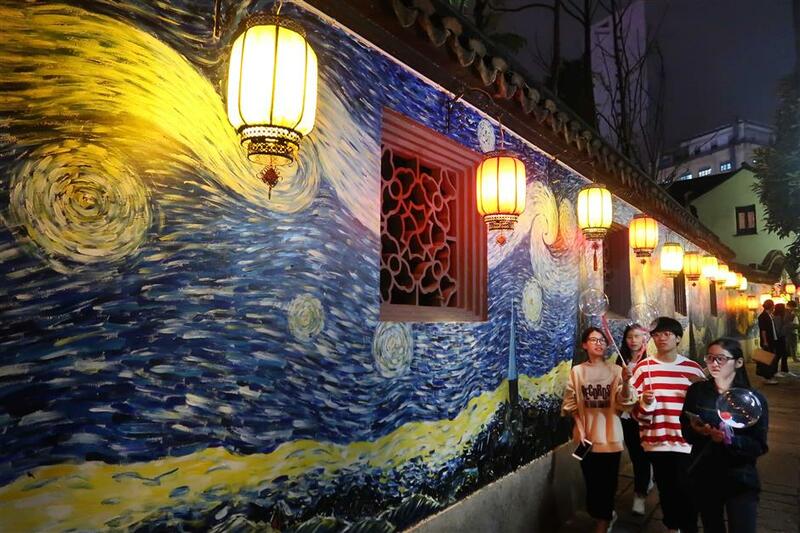 It has become a combination of the old and new, East and West, where visitors can take photos in front of the wall doodled with the replica of Vincent van Gogh’s “Starry Night,” and meanwhile enjoy ancient Kunqu Opera in the teahouse just a few steps away.